Even if it is Friday the 13th! and even if I am just finishing work at 8pm (after having started at 7am! )...for in a few minutes, I'll be heading up to my bead room to do some beading and watch some shows on Netflix with my son! In the meanwhile - it is Free Pattern Friday. Maryanne posted a gorgeous picture of a woodpecker on her blog today. She and I live near each other and while I see lots of woodpeckers in the back yard, I rarely see one up close like she did! What a gorgeous shot! 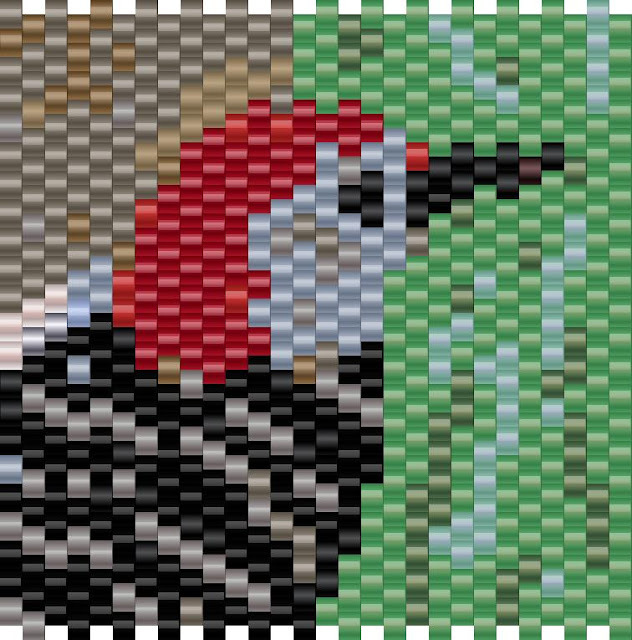 In any case, it inspired me to do another bird pattern for the Bead-It-Forward quilt project! 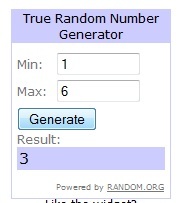 Which makes Karyn from Releases from Rufydoof the winner!!! Karyn, I'll email you for your address! I've been busy also making earrings whenever I have a chance to send to that certain host of a certain television show.... now I'm totally undecided on what to send....will probably make a few more pairs and send several pairs!!! Will post pics of earring soon! OMG how exciting! I just popped on over to read your latest post never expecting to have won something. COOL! Thanks so much! Yay for Karyn! This was fun!